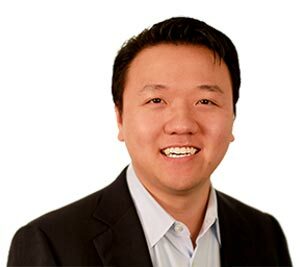 Jim Yu has turned his hands-on experience in optimizing websites for higher search engine rankings into an SEO segment leader on its way toward a potential billion-dollar IPO. San Mateo-based BrightEdge has just completed a $42.8-million fourth round financing for total investments of $65 million since it was founded on Yu’s kitchen table in 2007. The latest round establishes BrightEdge’s promise as a future IPO prospect by bringing together a who’s who of the Silicon Valley’s leading venture capital firms — Insight Venture Partners, Intel Capital, Battery Ventures, Altos Ventures and Illuminate Ventures. Since its founding by Yu and co-founder and CTO Lemuel Park, BrightEdge has evolved from two guys offering search-engine optimization insights to a company with 150 employees helping 600 client firms like Microsoft, Adobe, Nike and 3M manage the online profiles of over 6,000 brands. BrightEdge’s biggest impact has been transforming the perception of search-engine optimization from an obscure set of apocryphal beliefs about how to structure the headers of web pages into a highly analytical discipline based on mining and correlating vast amounts of data to arrive at the relative importance of various keywords to the success of any online business segment. BrightEdge’s prospects for long-term financial success is apparent in its success in persuading major tech firms — including some of the internet’s leading search providers — to pay for subscriptions to BrightEdge’s SEO management services. The firm has secured its place as the leader in this new data-mining segment with its annual Share12 event in San Francisco for search and digital marketers looking to get a jump on rivals by sniffing out the ways in which search engines are likely to evolve and how organic and social channels can be used to help brands optimize their return on digital marketing efforts. Yu has done more than successful brand-building for BrightEdge; he and co-founder Park have created enough real hard-core innovations in the way search data is mined, correlated and presented to have been issued two patents, with 26 more patents pending. The two issued patents include one for Share of Voice which presents a brand’s true market share and for Reverse Index which presents Web performance. Before founding BrightEdge Yu helped develop core modules of Salesforce.com’s industry-leading cloud computing platform. At Aether Systems he headed up the product management team responsible for the product strategy, roadmap, and delivery of the innovative Scoutware line of wireless products. At Mercator Software (later purchased by IBM) Yu led development of the Mercator Integration Broker enterprise software product which generated over $100 million in revenues. Jim Yu was a child prodigy who seems to have been destined to become a tech whiz. His interest in computers began at age six when he created a drawing program that let users move a character around the screen. At the age of nine he enrolled in a college class to learn programming in C.
He began college full-time at the age of 12 and graduated from the University of South Dakota at the age of 16 with a BS in computer science. He led a team of programmers for seven years for a Fortune 500 firm before returning to get his MBA from Stanford and a masters in engineering from the University of Virginia. BrightEdge founder and CEO Jim Yu wrote his first computer program at the age of six.